Been looking at one of these for a while. That is the exact package I bought last year. 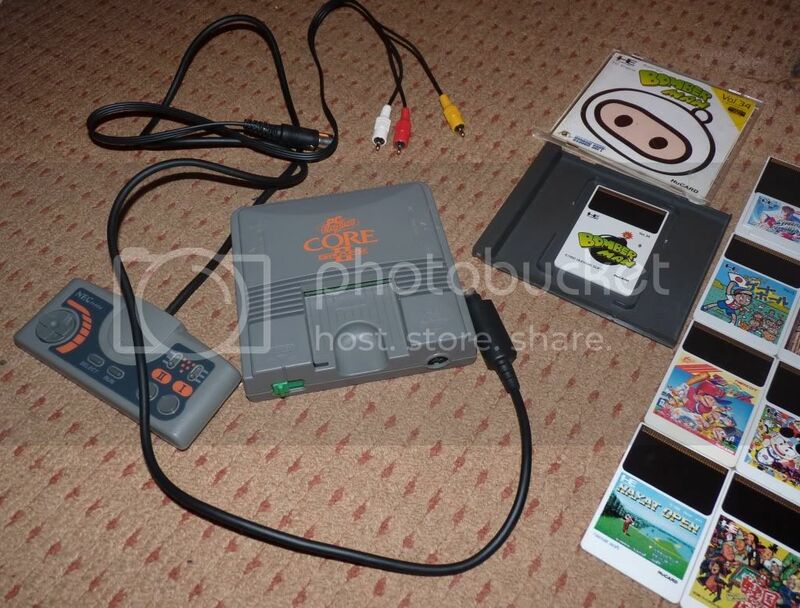 The PAL version of the TurboGrafx 16 which itself is the American version of the PC Engine. Its grey instead of black and drops the 16 but plays all the same games. It has amazing quality video output too which is a massive bonus and the pack-in game Blazing Lazers is one of the best shooters I have played. Wow, i am soooo jealous. Take it you sold it? Yep, with 30 hu-cards and a home-made (not by me) scart connection. 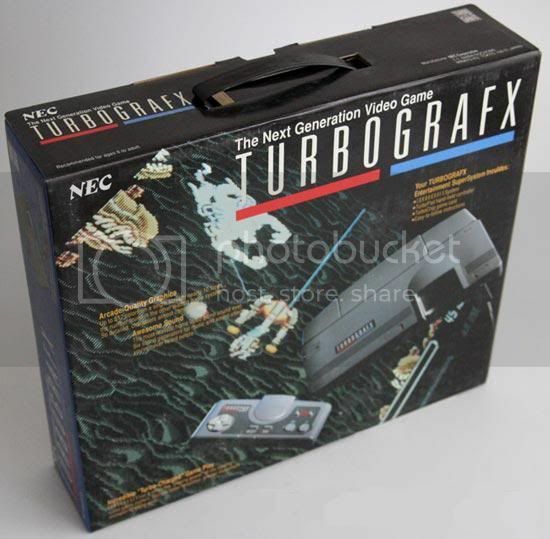 Just bumped this topic for UltraPro as he has joined the TurboGrafx owners list here! I used to be an owner of one. Bought it brand new shortly after it came out but foolishly sold it a few years later when girls and drinking seemed more important. If I could go back in time I'd smack myself in the back of the head and say neither are worth it! LOL Oh well maybe some day I'll get another one. If you do go for one then you should take up the same deal I found for UltraPro, see his thread in the marketplace. Side Arms is apparently being posted today and Military Madness has apparently been shipped to the wrong address and somehow its on its way to Canada... somehow I think the seller is just lying and either didn't have it or double booked it. I really like Dragon Spirit so far and love Blazing Lasers. Legendary Axe was winding me up a bit but looks good so far. Does anyone have any other suggestions I could look into maybe picking up sometime? I know I'm probably going to get Devils Crush eventually, any others? That guy got a great score there!!! Especially the Blockbuster Video rental case, I know a few people who have the Jaguar version of them. In terms of recommendations, yes definately get Devil Crush as it's far superior to Alien Crush. 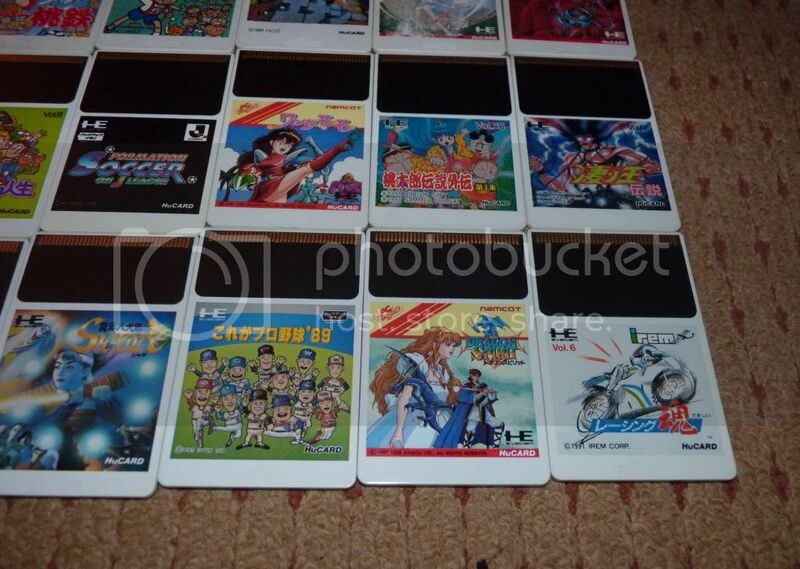 The TurboGrafx/PC Engine is the shoot 'em up machine, I swear half its library is this genre. You have a few good ones already but I also recommend R-Type, Ordyne, Psychosis, Fantasy Zone, Space Harrier and Air Zonk, which the game that Zaku on the Lynx was based on. Also Legendary Axe II is better than the first one, there is a second Bonk game, Parasol Stars, Bomberman, Final Lap Twin, Pac-Land and Ninja Spirit is one of the best games on the console.